STRONGSVILLE, OH (WOIO) - The cause of a fire that heavily damaged businesses in a retail plaza at Pearl Road and Westwood Drive in Strongsville is under investigation. 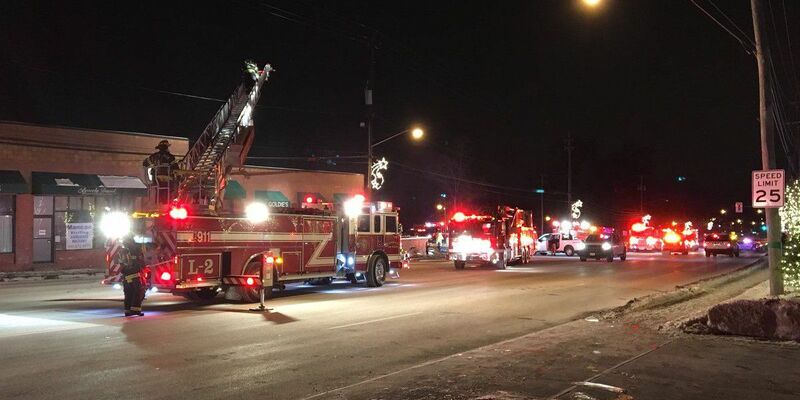 The Strongsville fire department says the fire broke out between a deli and a tattoo shop in the plaza around 8:30 p.m. Sunday. A witness says at one point, flames could be seen shooting from the roof. Several other nearby fire departments were called in to help fight the fire. According to the Strongsville Fire Department, the fire caused an estimated $500,000 in damages.